Tattoos: Is the Number Thirteen Lucky or Unlucky? Is the Number 13 Lucky or Unlucky for a Tattoo? Why do so many people get Lucky 13 tattoos? While Western cultures consider it unlucky, the body art community apparently holds a different view as it is a perennial favorite. Why do they have this reaction to the superstition? The number thirteen has long been considered unlucky and sometimes even dangerous. Friday the 13th is credited with being the unluckiest day of the year. A 13th floor doesn’t even exist in many high-rise buildings. Having 13 dinner guests at one table is said to have fateful results. The tarot card bearing the number thirteen (Roman numerals XIII) symbolizes death. 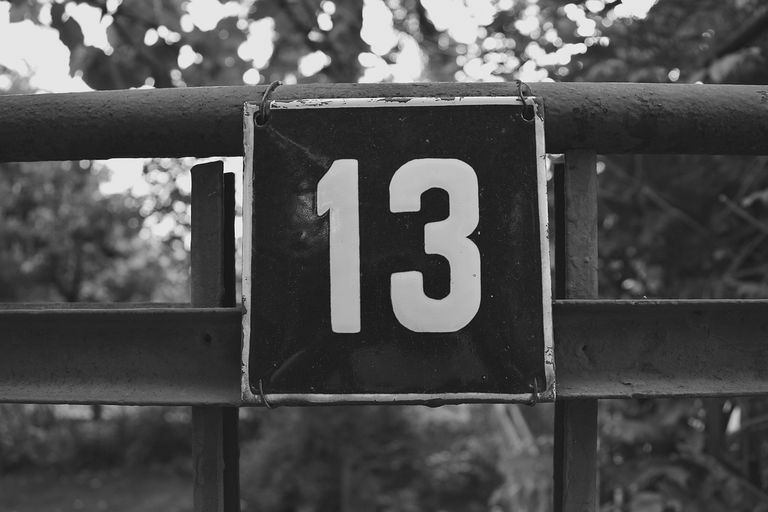 Over the years, horror writers have banked on peoples’ superstitious beliefs of the number thirteen and have probably stirred the fear that many now associate with it. How did the number become so stigmatized in the first place? Several sources note different theories, some dating back to early times and ancient mythology. According to Nordic legend, Loki (the Norse god of mischief) crashed a party of the gods he wasn’t invited to. Since he was the 13th attendee and, through trickery, caused the death of Balder the Good, it was determined that the number 13 was evil. In biblical history, twelve disciples joined Jesus for the Last Supper. Judas, the last and thirteenth member to sit at the table, betrayed Jesus which eventually led to his crucifixion. It’s no wonder some people felt that Apollo 13 was a doomed mission from the start. But do we consider the number unlucky because the ship crashed, or lucky because the crew survived? I guess it depends on whether you’re an optimist or a pessimist! There are some cultures, however, that appreciate the number thirteen or even revere it as being a symbol of life, fertility, and good fortune. Judaism celebrates a young man’s coming of age when he turns thirteen. In Punjabi, the word thirteen is pronounced tera, which also means “yours,” which is a devotional pronouncement to God. Another group of people who widely holds the number thirteen in high esteem is the body art community. You can see the evidence while flipping through the pages of any tattoo magazine or viewing the many attendees at a tattoo convention. It shows up in the form of tattoo art over and over again, almost always as a positive symbol, sometimes by itself or accompanied by other “lucky” symbols. It stems from the days of traditional tattooing and still remains one of, if not the, most popular numbers to have inked on one’s body. So, why do tattoo enthusiasts embrace what others fear? Tattoo enthusiasts embrace a lot of things that others fear, including tattoos themselves. They find beauty in what some others perceive as mutilation. It’s not such a stretch that they would also see fortune in what others see as unlucky. Or maybe they are just all a bunch of optimists. Whether you consider it a Baker’s Dozen or the Devil’s Dozen is up to you.